April 26, 2012 – Journey to my heart…. New life in Lake Michigan…. Tonight I spent time with a few good friends who will be baptized tomorrow in Lake Michigan. 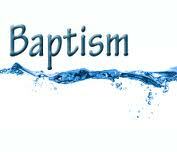 I believe there may be 13 people who are planning to be baptized! The temperature will be chilly and the water likely numbing, but the experience will be unforgettable. For some it may be a first time baptism, for others, it is a re-commitment, but regardless, for all it is a celebration….a celebration of spiritual birth and spiritual maturity! I am thankful for celebrations on ordinary Friday’s. It makes tomorrow very meaningful for my friends and all of us who love them! I am delighted for the new life that will be birthed in Lake Michigan tomorrow. Praise God from Whom all Blessings Flow! Author trishborgdorffPosted on April 26, 2012 Categories UncategorizedLeave a comment on New life in Lake Michigan….